I’ve always said being an advocate for public education requires the ability to play multi-level chess. Sometimes things happen independently on one level, sometimes issues transpire on multiple-levels. If you focus on only one level you do so at the possibility of your own detriment. Such is the place where I now find myself, slow to come to the realization that there is a whole lot more in play here than just what’s happening at Metro Nashville Public Schools. Over the last year, I’ve focused primarily upon just MNPS with a perfunctory glance at the state and National level. First of all, Tennessee already had a blogger better at state issues than I in Andy Spears. Secondly, after the 2016 school board election, I was of the opinion that charter schools and the choice crowd were the least of our problems and that I needed to focus more on district issues. Unfortunately, after spending the last couple of years flying under the radar, the School Choice Forces are done licking their wounds and amassing for some bigs moves in the near future. Putting me in the position of having to play a little catch-up. Before we get too far into this I want to make sure that I clarify; I’m not painting all choice advocates as nefarious villains. I’ve come to count many of them as friends, but I do think that there is a great deal of danger in some their ideology. I’ve yet to hear how equity and choice can compliment each other. No matter how much you talk about equity, there will always be those who have no choice. Those that are abandoned to the traditional system. A system whose limited resources are continually threatened under the guise of creating a system that is more responsive to parents. That constant depletion of resources brings a higher cost to educate those left behind. By ignoring those larger issues, we run the risk of creating a Nashville school system that is even more underfunded than it is currently. I have recently reminded myself to continue to look at other cities and look at how Nashville could be potentially negatively impacted by what’s transpiring in those communities. The bottom line is that there is a lot at play when it comes to education policy, and not all agendas are focused on what’s best for kids, nor locally derived. Often you’ll hear cries for evidence-based conversations. That may sound good if you say it fast, but it seldom holds up. 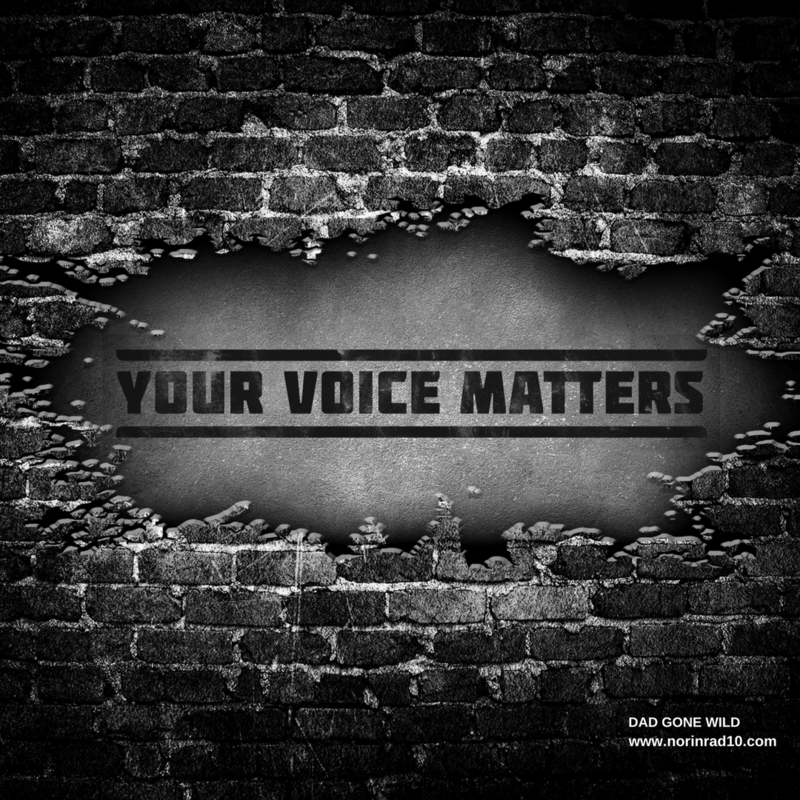 Blogger and educator Peter Greene explains the fallacies in a recent blog post. In his piece, he points out why despite being better “than intuition-based or wild-guess-based or some-guy-from-the-textbook-company-told-us-to-do-this based conversations”, the evidence-based conversation still requires caveats. Nope. Having evidence for a practice is smart, and it’s mostly what teachers do. I don’t think I’ve ever met a teacher who said, “Well, this didn’t work for anybody last year, so I’m going to do it again this year.” No, teachers watch to see how something works, and then, like any scientist, accept, reject or modify their hypothesis/practice. This, I’d argue, is how so many classroom teachers ended up modifying the baloney that was handed to them under Common Core. So with all that in mind, let’s venture forth. The Tennessee State Legislator session has begun and once again vouchers are sucking the air out of the room. Supporters are filled with anticipatory glee, while detractors are bracing for the fight. My take is that everybody needs to slow their roll a little this year. Yes, Governor Lee has voiced support for vouchers and yes he’s got a lot of supporters who are also rabid voucher supporters. But let’s look at a few things. Mainly who Governor Lee has made his Commissioner of Education, Peggy Schwinn. In looking through Schwinn’s bio there is a lot to be concerned about, but what there is not, is anything painting her as a voucher advocate. Anti-voucher proponents tend to want to paint all charter school supporters as voucher supporters as well, but that’s not really an accurate portrayal. Many charter supporters are not sold on vouchers as an effective reform tool. There is evidence in Schwinn’s bio of her employing an aggressive strategy in relation to priority schools. In Delaware her tactics made Blackbeard look like a kitten. In Tennessee, she has a ready-made vehicle, with a charismatic and competent leader, in the Achievement School District. I’m betting she is just chomping at the bit to take that little sportster for a ride. I can’t really see the new commissioner wanting to jump from one losing fight into another potential losing fight. I see her wanting to apply her strengths out of the gate in an effort to amass some victories. I can see her advising Lee of a strategy that focuses on priority schools and testing, to areas in need of wins in Tennessee. By all accounts, Bill Lee is described as an astute businessman who hires people based on their skill set and then listens to them. It doesn’t seem likely that he would go to Texas, pull her out, take the heat for the decision, and then embroil her in a battle that will leave her bruised from the beginning. Much better to play to her perceived strengths, win a few, increase your credibility, and then the voucher fight gets a little easier next year. But hey, if screaming voucher in a crowded theater can distract for a bit…so be it. On a side note, and with no disrespect intended, if Schwinn and ASD head Griffin were to team up with newish state rep Gloria Johnson, you’d have the making for one hell of a frontcourt. Just observing and saying. This past week’s school board meeting saw some important policy discussions. The first was in reaction to a proposed policy addressing lead in school drinking water. The proposed policy would set lead levels at 15ppm and 20ppm before increased testing and taking water supply offline would happen. MNPS currently has a standard set at 5ppm. In watching some of the discussion around this threshold, if you didn’t know better, you would come away with a perception that MNPS adopted these guidelines all on their own with no outside prompting. Not true. MNPS fought those standards until Mayor Briley intervened. Therefore to suggest that the board could adopt less stringent guidelines in order to be aligned with state guidelines and just depend on MNPS to continually adhere to the lower standards is a potential miscalculation. It is imparative that the policy matches the current standards. Luckily Ms. Pupo-Walker raised the issue, along with Ms. Frogge and the policy was sent back for a re-write and to be run through the governance committee again. Props to both Pupo-Walker and Frogge for doing what is truly best for kids. If you see them give them a thank you! Moving from the water policy, a resolution to have the board endorse a recent change in the districts discipline policy was then brought forth in the form of a non-binding memorandum. The policy calls for an end to suspending, expelling or arresting students in K-4. This memorandum would just endorse the policy enacted by Dr. Joseph earlier in the school year. While I agree with the spirit of the resolution, I continue to argue that the focus shouldn’t be on artificially lowering suspension rates, but rather by lowering those rates through decreasing incidents because students have gotten the services they require. Our current philosophy is similar to saying we are going to lower juvenile arrest rates by no longer arresting kids. What does that actually do to lower crime rates? While board member Will Pinkston may argue that this is merely an “aspirational resolution that was not mutually exclusive of anything else”, in reality, it is a whole lot more. It is widely recognized that district is hemorrhaging teachers. The discipline policy is a major contributor to that exodus. During the discussion, board Vice-Chair Buggs made reference to her time as a teacher when she would occasionally feel exasperated and feel like she didn’t know what to do. Let’s be clear, that’s not what is being talked about here. We are talking about teachers who have radically change their instructional practice due to disruptive children. We are talking about fellow classmates having to sacrifice valuable instructional time as a result of a chronically disruptive peer. We are talking about teachers leaving MNPS because they are fearful or don’t feel they can be effective. Since there is a direct correlation between poverty and trauma-induced behavior, its those very schools that need them the most who are suffering from heightened teacher attrition. Quite simply we are creating a policy that overall hurts kids. Any policy that puts barriers between kids and a high-quality instructor ultimately hurts kids. Any policy that puts barriers between kids and high quality instructional time ultimately hurts kids. Any policy that limits educational experiences for kids ultimately hurts kids. Our current discipline policy checks all three boxes and therefore ultimately hurts kids. Families are also starting to leave. Either they fear for their child’s safety or their child is starting to take on the bad behaviors they are continually exposed to. As more families leave the district, the higher per-pupil cost will rise and the more we will become a chronically underfunded district which in turn will lead to even more exits. In her defense of the resolution, Buggs made a statement that gave me cause for pause. Huh? Do you expect it at 5 years old? 8 years old? 12 years old? When do you expect your child to stop smacking people? And should it be the expectation of every child that attends school with your child that they may get smacked? That doesn’t sound very equitable. I remember back when my son was 2 and a half and in day care. He was a biter and he was biting everybody in the daycare. We were brought in and worked with the center to quickly find a solution. It was pretty well understood that if he didn’t stop biting, alternative accommodations were going to have to be made. That staff loved my son nearly as much as we did, but they loved the other kids equally so. Nobody should have to attend school with the potential of being exposed to physical violence. That should pretty much be a non-negotiator. I would argue that by not holding kids accountable and coupling that accountability with getting them the required services, we are setting them up for future failure. What happens when a child commits a crime at age 20 with no sense of accountability and they end up in the penitentiary? After all, they thought it would end the way it always does, with a little restorative practice. We have to shift the focus from reducing suspensions to reducing incidents. The focus has to be on getting students what they need regardless of where it is received. If we lower suspensions as a result of lowering incidents than we have done something to celebrate. 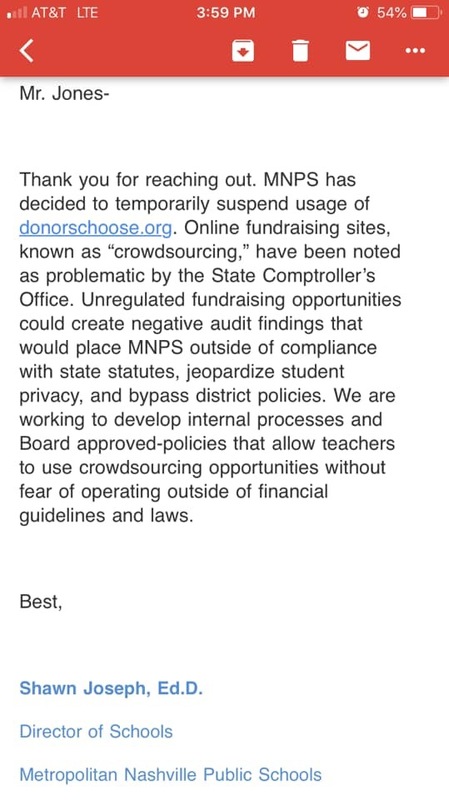 Last week I mentioned how the District had suspended the use of DonorsChoose by teachers. This week Lindsey Bransom at Channel 4 News did a follow-up report with school board member Fran Bush. As DonorsChoose has made over $87K worth of supplies available to teachers in 150 classrooms since July 1st, Bush was very concerned about teachers losing this resource. In looking at the money involved, and the growth of crowdsourcing in general, I can’t help but wonder if this isn’t another case of following the money. If people are increasingly giving to DonorsChoose who is losing money in response? Bush has vowed to take corrective action, so let keep an eye on things and hope this one is a quick fix. At Tuesday’s board meeting there was a presentation by the EL department. While it was a very positive report. I couldn’t help but notice that most of the data came under the watch of former executive director Kevin Stacy. Understandably current data couldn’t be presented without opening the whole failure to grant accommodations on MAPP testing conundrum, but I would have liked to get more of a feel of exactly what’s happening this year. The most disturbing portion of the presentation came when board member Pupo-Walker asked for confirmation that translators were off work the day of parent-teacher conferences. The Executive Director of Equity and spouse of district number 2 guy Sito Narcisse, Maritza Gonzales, confirmed that was indeed the case. Even more concerning to me was the lack of concern shown for this failing by Gonzales. Upon further questioning from Pupo-Walker, she kinda shrugged and said that’s the way the schedule read while offering no plan for correction. Here’s another policy move with unintended consequence for you. The district has undertaken a fierce focus on attendance this year. I think most people recognize it’s importance, though for some it is a challenge both culturally and financially. The district has become increasingly zealous in its pursuit of higher attendance rates. Unfortunately, I’m hearing reports that as an unintended consequence more kids are coming to school sick and therefore infecting classmates. One more reason why implementation is so important. Here’s an interesting piece of trivia for you. Both Deja Vu, a show bar, and MNPS has offered furloughed government employees an opportunity to supplement their income during the government shut down. Stripping or substitute teaching, which would you choose? Unofficially it seems that Deja Vu has gotten several responses, while the district has received none. That does it for the week. I know I promised to discuss the teacher compensation presentation at the last board meeting and why now is the time for MNPS teachers to really push for a raise, but I’m going to do that Monday when I can devote more space to it. Did anyone else notice how smooth this week’s board meeting ran san’s, Dr. Gentry? Buggs could have left a few of the verbal digs out – we touched on that at the retreat but we can revisit it when you are in attendance – but all in all, she conducted one of the higher quality meetings of the year. Well done Ms. Buggs. Also kudos to Will Pinkston who made it through his first whole meeting in a long time. He did have to spur things along a couple times but he managed to sit through a presentation and some boring policy talk in order to make it through to the other side. So I raise a toast to him. Man, I love the idea. I wish someone would do it here in Nashville. Unfortunately, that’s probably the week of MAPP testing. Or Fastbridge. Or WIDA. Or TNREADY. Or ACT. Or…well you get the picture. Hm. I agree that Schwinn will choose her battles and wait on voucher support. I disagree that Lee will avoid being pulled along by his own party. Unlike Haslam he will not likely veto vouchers law that aims to be expansive. If the leg puts it up, he’s going to go for it. Admittedly the easy play is to expand the ASD, and although the leg is weary on that one, the DoE can go right ahead. The good things about the Memphis iZone were that they didn’t go looking to fire everyone in sight which is the normal MO for Innovation Zones. They did get all the top admin talent and raise pay for teachers in the iZone. That’s a tall order for the ASD as a whole and for priority schools. I do agree that Schwann wants a swing at that ball nonetheless. On discipline, it is rougher than I’ve ever seen right now. That said, no one anywhere has the magic bullet for decreasing incidents at the district scale. There must be a grand plan, as much as it pains us, for ISS of students. This is an acute need not merely brought on by the desire for admins to keep incident reports low. As a district we have no plan or vision for how schools should manage post-incident discipline. Trauma funding is not realistic. We are lucky to have literacy specialists in each building and we are a long way from fully staffed nursing. No pot of money to the rescue for trauma is coming. We have to fly with the twisted up tangle of counselors, social workers, and psychologists we have. These folks can do a little, a very little, to reduce the number of incidents. But do not expect the current American system of these (expensive) resources to be able to help APs deal with post-incident management. So here we are… with the leadership desperately trying to keep principals from passing the buck through expulsions, but unable to ensure student safety on a daily basis. You can see why there was a real flood of people wanting sub for MNPS during the shutdown. 2 students I taught last year checked all those boxes. Those kids need help. They are angry, they should be. They deserve love, and they deserve to be in school. I know that Mrs. Buggs will feel differently when one of these children, who do not have the emotional, financial, and educational support of stable parents, drags her child to the floor by the hair for the third time this month because the her child wanted to play, too. When it is then her child that is suffering trauma because the student is not getting what her needs, but I am sure her child will not attend a school where 80% of the students suffer these atrocities. It will make her feel better because her child’s school will have a 5-10% population of need, so she will say she knows and has real world experience. Her child will go to a school where the majority of parents will not stand for their children being traumatized by those kids, and in so doing that child will get help. Where is the equity in that? The help goes once again to the squeaky, affluent wheel. And before everyone gets it twisted middle income is more affluent than low income, I am not comparing sprawling mansions to homeless shelters. I am comparing middle income to low income. Here is what that looks like. Every school has a counselor. Great. Sounds good. Looks good on the news, But what if school A needs one counselor to serve 5-10 kiddos. School B has a need for 10 because the number of kids suffering trauma is 10 times higher 50-100 kids than school A. Providing what school’s need is true equity. It is not happening. Yes, they deserve to be in school. It is imperative they stay in school, but it is also imperative they are offered what they come to school missing. Without a well executed plan, we spread the abuse via students who are not YET capable of managing their behavior. Instructional time is lost because teacher must decide if the content objective or the safety objective is more important. Teacher will choose the safety of students, every time. If teachers were supported they could call for someone equipped to deal with trauma to help that child when the need arises, so one is sent home, everyone gets what they need. No one is getting suspended. Fabulous. But I don’t think we can say that everyone is getting what they need. Students, teachers, or parents, but admin gets a drastically lowered number to report. Sometimes I think we are on a reality show. Ms. Shepard posted on her Facebook page private information about a student incident at a school. While I appreciate her “supporting” the school it is wrong to call the student and parent a liar and post info about her attendance. People were outraged and she deleted the post today but the parent saw it. We all saw it. Worried that he would lose his craziest board member designation Pinkston posts on Twitter that when he got to the board everything was awful and how much better it is now. What? What is better? The board isn’t better. Leadership is abysmal and district practices are the fastest declining in the country. The only thing better is that the 2 heads of HR are earning double what a HR person should get in a department that does very little to help humans or be a resource. Ms Buggs must be glad that Shepard and Pinkston are trying to push her out of #1 insanity spot when she admits to allowing an infant to abuse her. Ms Buggs, babies without limits become children without limits. Those are the children you are protecting at the expense of all metro kids. Maybe this is all part of the conspiracy to destroy public ed in our community. There is no other legitimate explanation for the lack of focus and concern with what happens in schools. Fran Bush decided to do something helpful for teachers this week and it is such a refreshing breath of fresh air. She and Frogge and Speering need to be empowered to take back this district. Elrod and Pupo Walker are useless to be part of the solution. I’ve never felt that I was headed to hell in a handbasket faster than we are right now. Someone take the wheel. And this is why I’ll never run out of things write about. It will get better though. >Elrod and Pupo Walker are useless to be part of the solution. imagine that this wasn’t at a MS, but at an ES, and the assaultor was a 4th grader. under the new policies, the school would be unable to suspend a student causing serious injury (I mean, look at all the new research/knowledge in the areas of brain trauma due to concussion), and also causing the district to be legally liable. does the new policy make people ‘feel good’? sure. is it smart? debatable. Let’s take some bets on how Dr Joseph screws up Tuesday’s snow. He’s probably out of town and doesn’t even realize we will have a serious situation. Maybe he will have the insight to cancel Monday night once everyone else does so he doesn’t put anyone at risk Tuesday. I don’t bet on it. looks like the snow has screwed itself up 😦 bet a dusting or less. I have emailed TC with my experiences as a Sub in this district and no wonder not ONE fed worker applied. I have been a Teacher and a Sub and came here and to this day I cannot believe what these schools are like. It affected how I saw the City, the Politics, the People and myself. I am not sorry to be leaving I simply cannot take it anymore.